FT Island’s Choi Minhwan and Song Seunghyun have graduated from their high school today. Both of them attended their graduation ceremony at the School of Performing Arts Seoul at 10am on the 16th. Although the two members were unable to receive the perfect attendance award due to their busy schedule, they received special merit awards. 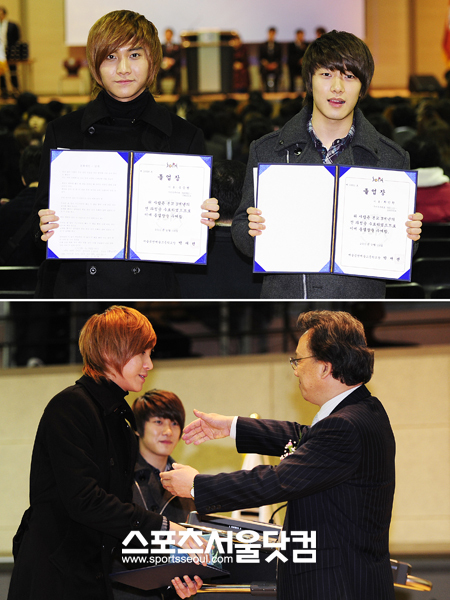 Both Choi Minhwan and Song Seunghyun are accepted into Kyung Hee Cyber University for the class of Year 2011. Song Seunghyun (left) and Choi Minhwan (right) nervously getting ready for the ceremony. 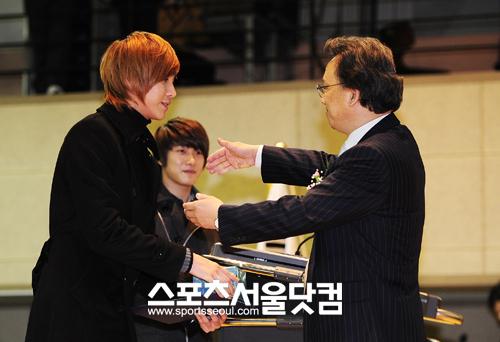 Song Seunghyun (left) gave a thankful hug to his principal after receiving the Special Merit Award. Song Seunghyun (left) and Choi Minhwan (right) were congratulated by their fans as they walked out of the school. 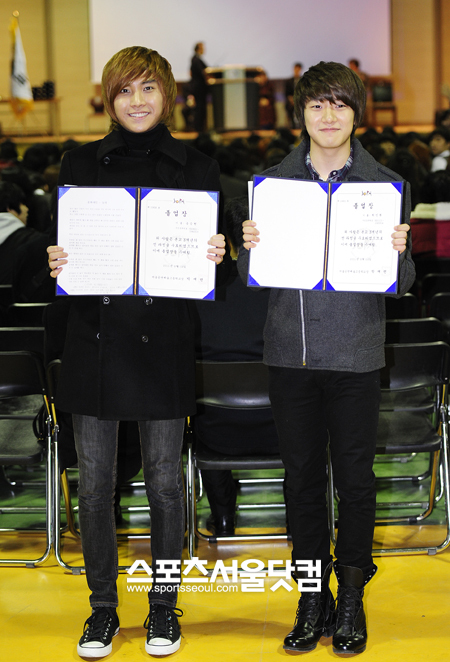 Song Seunghyun and Choi Minhwan posed proudly with their graduation certificates. This is Kaori's blog which I do love to take a note about everything I love. It's not just a KPop or JPop news. Thanks for drop by even just for a few minutes. Kindly comment one of my post so I know who's my special visitor. If you have time, please drop at my Guest Book & share anything you want. Lets share your love band to WORLD.